Publicly traded companies are spending eye-crossing amounts of money to influence politicians and the regulatory process, and you have no real way of knowing which companies are involved and what agenda they're advancing. Activists from both sides of the political divide are working hard to change this. Fortunately, the SEC in 2012 put the issue of potentially requiring corporate political spending disclosure on its rulemaking agenda. Then the SEC dropped the issue from its list. Shareholders have been clamoring for companies to disclose their political spending and lobbying activities for the better part of a decade now. Nevertheless, it took 10 law professors to drag the SEC into the battle. The professors -- whose views on the impact of corporate political influence vary widely -- pointed out that the U.S. Supreme Court had based its absurd ruling in Citizens United v. Federal Election Commission on a false premise. The Court basically used its ruling to declare corporations to be human beings with all the rights to political speech that the First Amendment provides, and that political spending is a form of this protected speech. The Court made this breathtaking judgment on the assumption that there was robust corporate disclosure in place, such that ordinary citizens could evaluate whether companies' speech/spending was in shareholders and citizens' interest. Indeed, Justice Kennedy said as much. The problem is, nothing could be further from the truth. While some companies have begun to lead the way by implementing voluntary disclosure policies, they remain a minority in that regard. Thanks to aggressive campaigns by public interest groups, such as Public Citizen, the SEC has received nearly a million comments from shareholders asking it to take up this issue. That level of support is exceptional, and the SEC should see it as tantamount to a mandate. So why on earth has the SEC chosen instead to kick the can down the road? Some have posited that there is Republican obstructionism at play. This idea doesn't hold water. 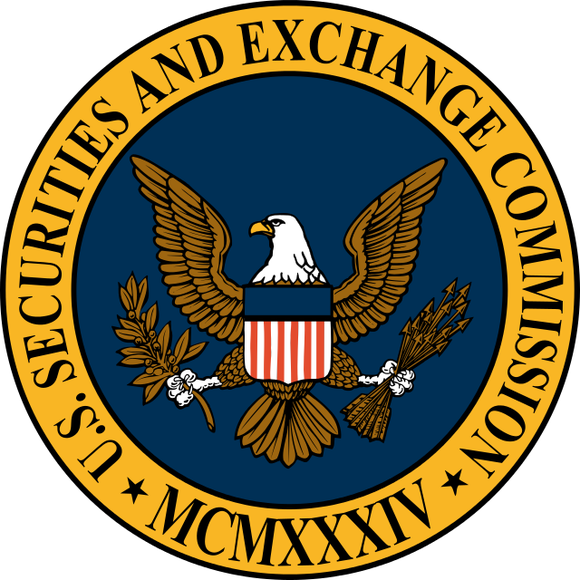 There are five commissioners at the SEC who vote to approve new regulations. Three of them, including SEC head Mary Jo White, are Democrats. If White isn't advancing this issue, it suggests that she doesn't want to. And while there are certainly people on the political right who oppose this reform, it remains a bipartisan issue. "We're back to the Nixon era," observes Norman Ornstein of the conservative American Enterprise Institute, "the era of undisclosed money, of big cash amounts and huge interests that are small in number dominating American politics." Indeed, the SEC is dragging its feet on a lot of major financial reform rules, most of which are required under the 2010 Dodd-Frank financial reform legislation that was passed in reaction to the 2008 financial crisis. "We should've gotten a lot of these rules done already," an unnamed SEC official told the Financial Times this May. "By delaying and delaying, someone else is winning and it's not the people fighting for reform." As the tendrils of the recession continue to inhibit major elements of our economy, it's hard not to see this as an abdication of responsibility on White's part. "Sorely needed Wall Street reform measures ordered by Congress to protect regular Americans and the markets still have not come to fruition nearly seven years after the financial collapse," said Lisa Gilbert, director of Public Citizen's Congress Watch division. "This is an unacceptable pace for rulemaking." A lot of companies whine that the type of disclosure activists want to see is infeasible, unhelpful, or even impossible. Many boards at companies that have been targeted by shareholder activists also complain that increased disclosure would put their companies at a competitive disadvantage, an argument that becomes increasingly ridiculous as more and more of their peers implement voluntary transparency initiatives. The question you really have to ask yourself is, what are these companies hiding, and why are they hiding it? Personally, it makes me wonder what other skeletons they're keeping in the closet. If I'm going to own their shares, buy their products, or see my tax dollars put to use in their favor, I'd like to know if their interests align with mine. If you share that view, you can add your voice to the others who have asked the SEC to get off its hindquarters and start doing its job. If they reach one million comments, maybe the SEC will finally have to treat this issue with the urgency it deserves. After reading all that, you may feel pretty helpless in the face of so much money getting thrown around. But with the right planning, you can take steps to take control of your taxes and potentially even lower your tax bill. In our brand-new special report "The IRS Is Daring You to Make This Investment Now!," you'll learn about the simple strategy to take advantage of a little-known IRS rule. Don't miss out on advice that could help you cut taxes for decades to come. Click here to learn more. The article How the SEC Can Change the Way Businesses Influence Politics originally appeared on Fool.com.